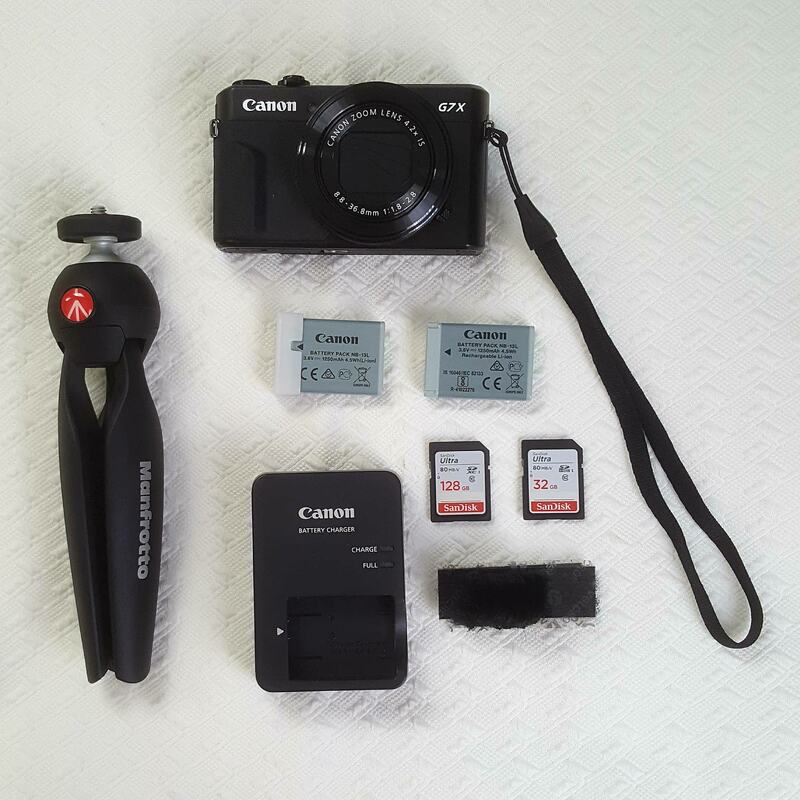 I purchased the Canon G7 X Mark II Video Creator Kit, which came with a Manfrotto Pixi tripod, an extra battery, and a 32GB Ultra SD card from SanDisk along with the camera strap, battery, and charger that are included as part of the main camera kit. I also bought some self-adhesive Velcro and a lavalier microphone windscreen to make my own camera mic windscreen. Not showed in the photo above is a tempered glass screen protector for the camera’s touchscreen. I did purchase another SD card because I felt that 32GB was not going to cut it, especially since I plan on vlogging, too. I picked up a 128GB Ultra SD card from SanDisk. I didn’t go with Extreme or Extreme Pro because I personally preferred to save the $20 and felt that I wouldn’t mind the extra time put into transferring and processing. I gave the 32GB SD card to my dad so he could replace the 8GB one he uses for his DSLR. So, if you notice a difference in picture quality on my blog soon, you know why! I’ll still be using my old camera (the camera from my Samsung Galaxy S6 Edge+) from time to time, but look forward to better quality pictures here on my blog! I tested out the video recording feature on the G7 X and it’s so good. The in-camera stabilization is ridiculously smooth, so look forward to better vlogs over on YouTube as well!